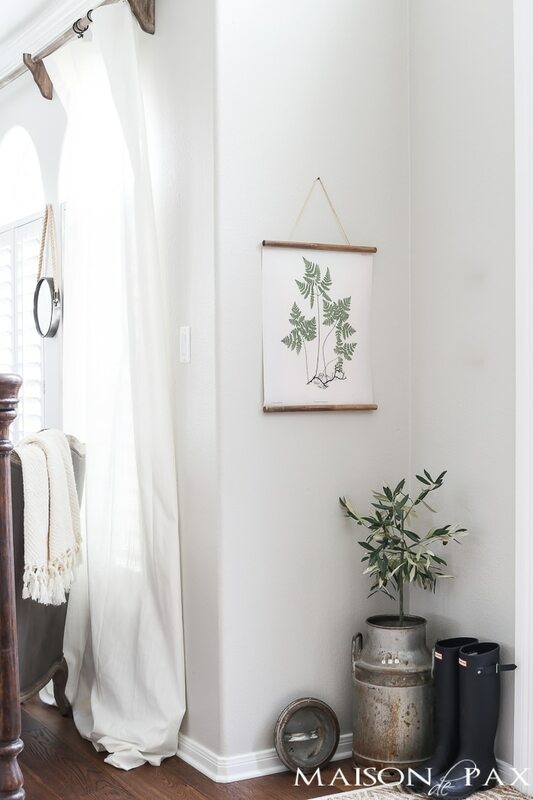 Looking to add a little farmhouse charm to your space? 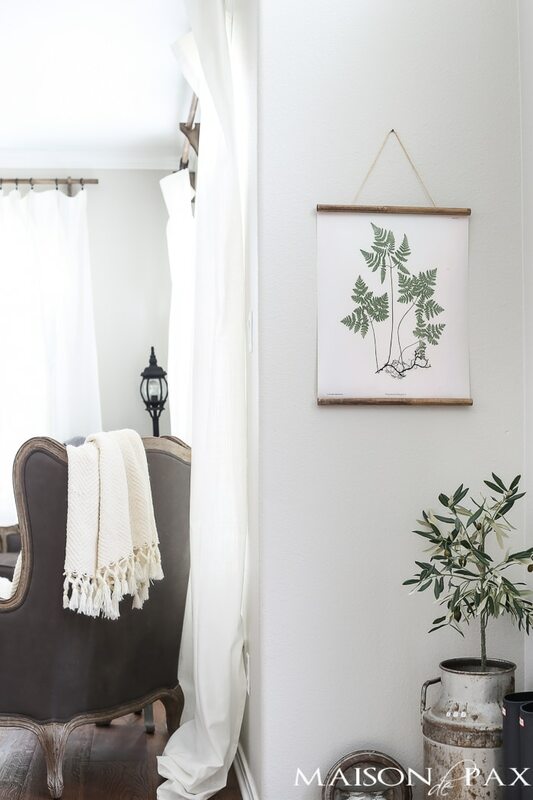 This DIY botanical hanging is so easy, and A Touch of Farmhouse Charm is the perfect book to walk you through how to make it AND so many other fun, farmhouse, DIY Projects. For those of you who are still trapped in frozen wastelands, I’ll spare you the detail that it passed 80° a couple of times this past week. But I digress… the point is that we are feeling spring here already. And while I’m not ready to give in completely to the idea that all our cool weather is gone, I’m happy to bring some spring touches into our home and start the celebration. This little DIY botanical print is my first step towards that. 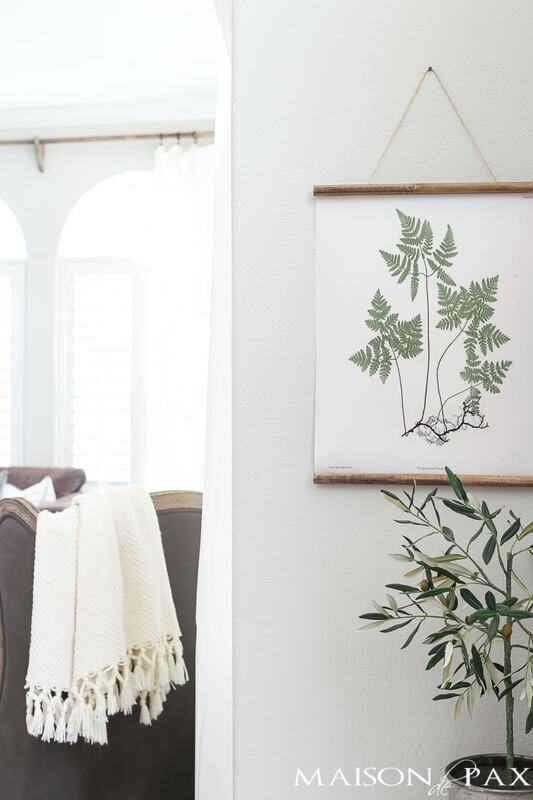 If you saw my tips for easy, quick winter decorating, you know that I haven’t changed a thing in our living room other than adding this little print… but I think it’s the perfect first step. 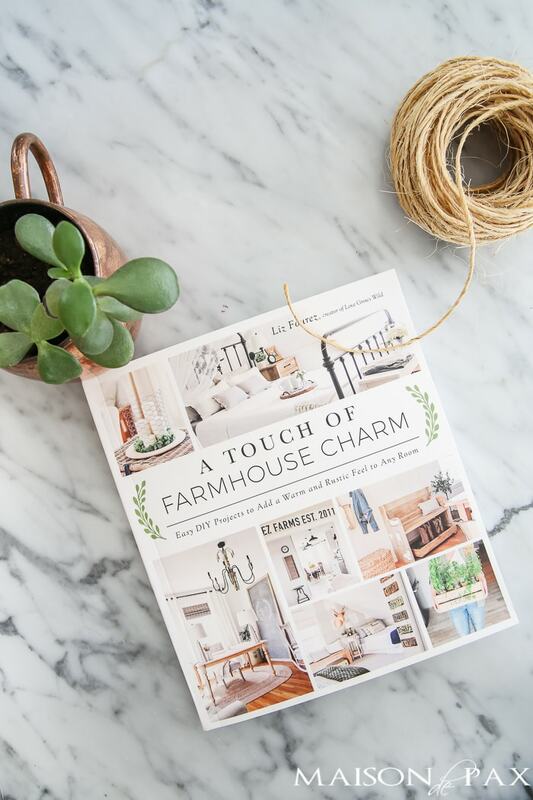 And I got the full, SUPER easy, step by step tutorial from my sweet friend Liz’s new book: A Touch of Farmhouse Charm. 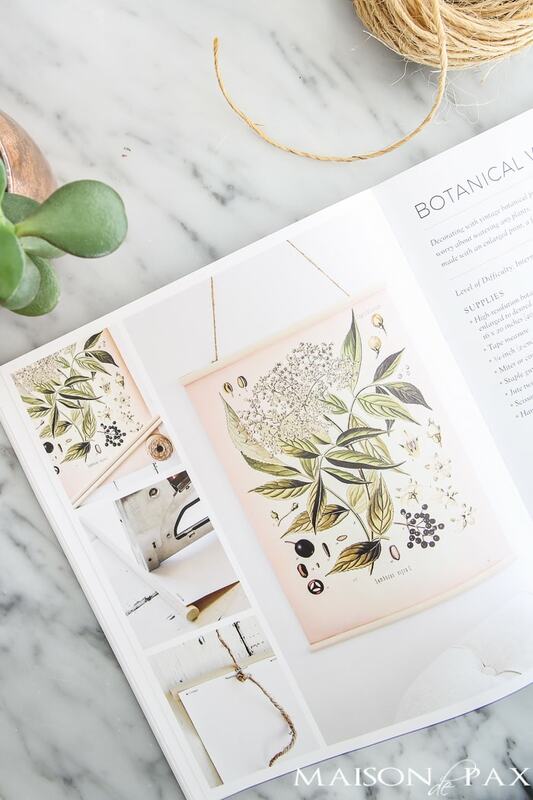 The book has 70 – seriously, 70 – awesome tutorials for easy DIY projects to add a warm and rustic feel to any space. They are categorized by difficulty and length of time they take to complete, so if you just have little bits of time here and there, you still know what you can do. 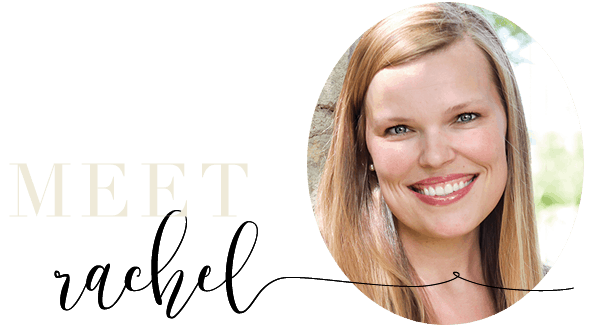 Liz’s photography is stunning, as always, and it is such a sweet peek into her little life and farmhouse. And it’s so fun to personalize her little projects, too. 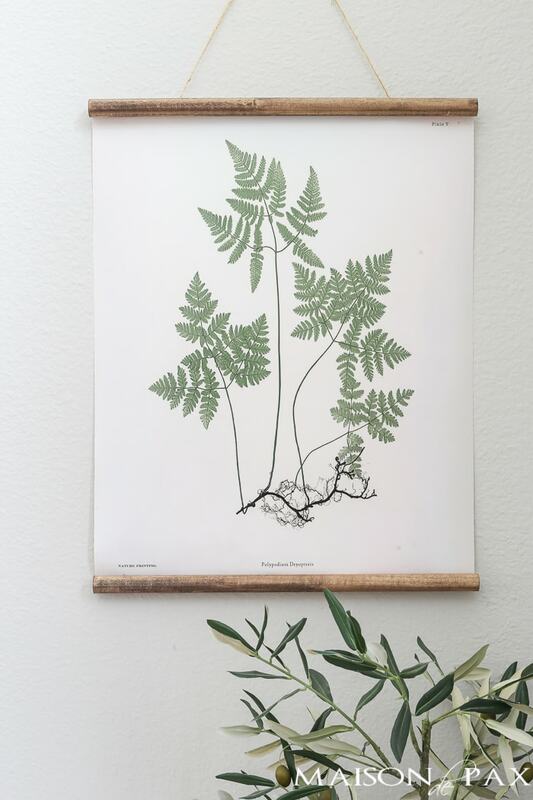 I found my botanical print here, and I am loving how it brings a touch of green to the space. So hurry to get your own copy of A Touch of Farmhouse Charm. The book actually came out right before Christmas and then sold out right away. They’re back in stock now, though, so be sure to snag one before they disappear again. 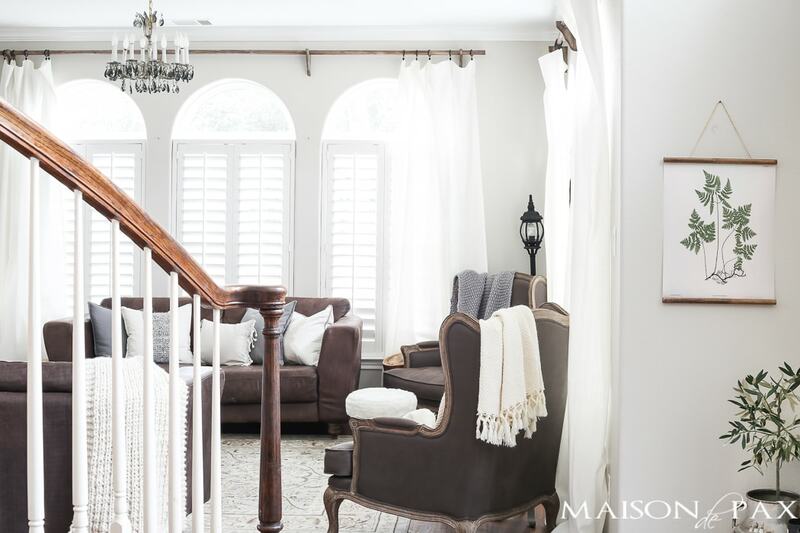 It will be a perfect go-to guide for a spring refresh in your home! Just put the book on my Amazon wish list! 🙂 Looks REALLY fun, and some easy stuff, too! I totally love how doable you make beautiful home design. I can’t wait for your next post. Keep up the good work. You are so kind, Karen. Thank you! Love the botanical prints. For some reason I can’t find where to order them! Can you help? The link is in the post, but I guess it’s a little hidden. You can download the one I used here, or you can find lots more free botanical prints at thegraphicsfairy.com. Hope this helps! 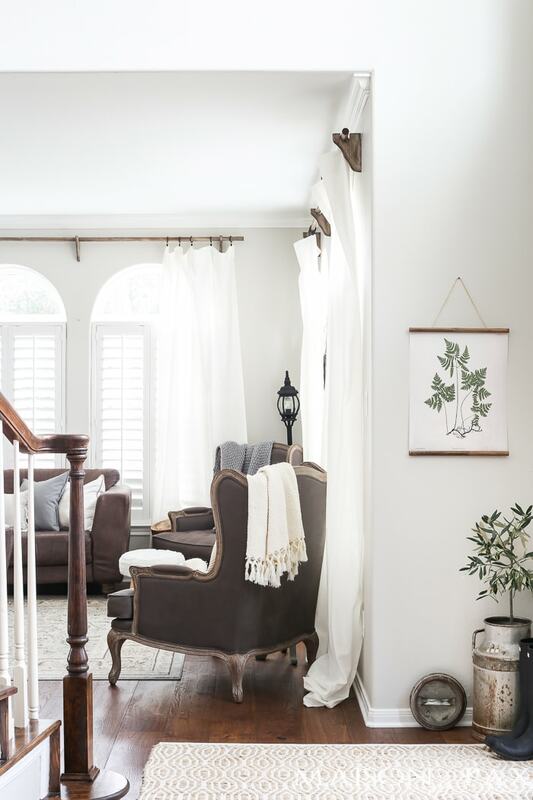 Can you please give me a source for the brown wing chairs? Thank you.